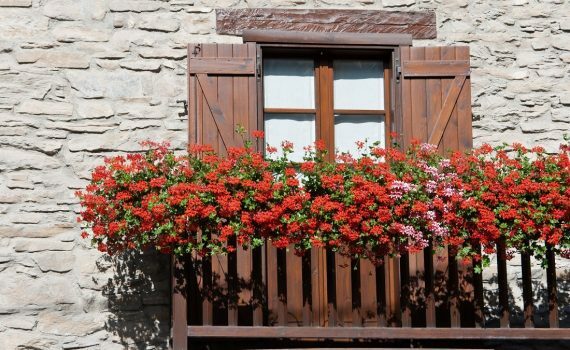 What To Do With Your Rented House Balcony? You are lucky if you rented a house with a balcony so do not make it go to waste! There’s so much you can do and put in there. Why not make your balcony like your own or like you own the place? Get those portable outdoor chairs and planting boxes but do not forget to ask permission to your landlord. Here are some of the stuff you can do with your balcony. 1. Take advantage of the spot you have. If you have an existing balcony with a potential to be as beautiful as you want, go ahead and make it lively! You can add some potted plants, cool lighting, portable fire pit for you and your friends, comfortable and cozy sofa add so much mood to the balcony. 2. Have a stylish outdoor furniture. Outdoor furniture like tables, lounges or benches that are movable are the best to have and is a must for renters/tenants. Take a look at the market that would suit your style and also your budget. 3. Show off your favorite art. This one shows the owner’s uniqueness, and it will be the one to speak out your personality. It can be statue, sculpture, wall art, or respectfully presented spiritual symbols. So if you are planning to rent, take your favorite art with you. 4. Give presence to your entrance. Uplift the charm of your front door by having some of your chosen café table, colorful potted plants, cozy sofa and other personal elements that can make your entrance grand to whoever who will enter your home. Also, if you are renting it, doing this stuff can give you the feeling that you own it. 5. Roll out an outdoor rug. Choose a colorful rug with acool pattern as it will give the biggest style punch with not much effort. An outdoor rug can also help hide the neglected decking.